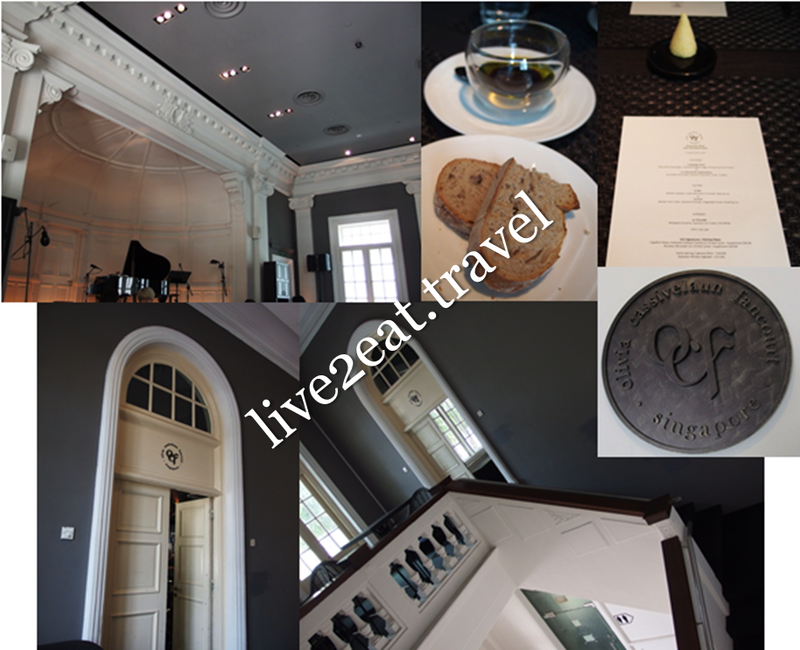 Olivia Cassivelaun Fancourt, also known as OCF, is a French restaurant named after Sir Stamford Raffles' first wife. It is located on the 2nd floor of the Old Parliament House, which is The Arts House today. Started in 2013, it has been on my radar since. 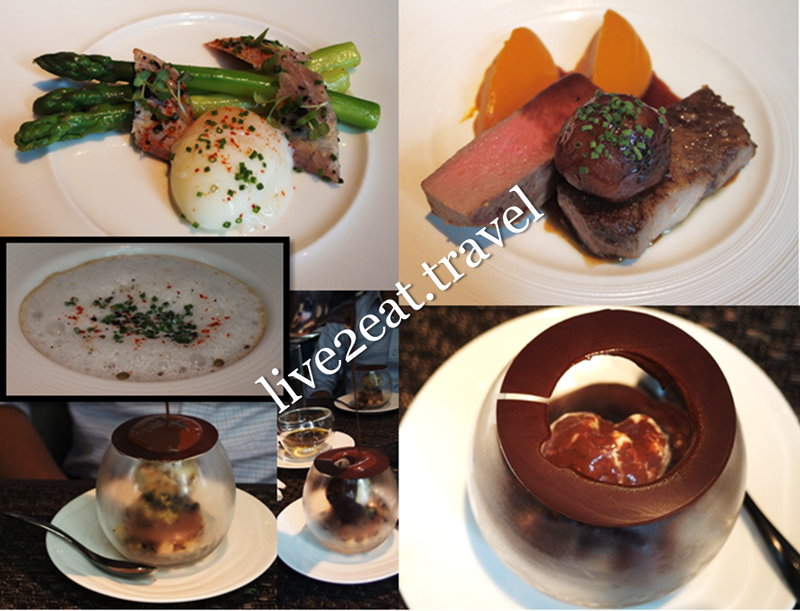 And with Singapore Restaurant Week from 14 to 22 March this year, I found a good reason to visit. The lunch menu includes an entrée of marinated asparagus, poached organic egg and smoked eel from Kaviari or Jerusalem artichoke velouté with Parmesan foam and truffles. While I could not fault the asparagus, the egg and eel was too salty for my liking. This was followed by main course of Iberian pork collar, glazed Jerusalem artichoke, vegetable purée and roasting Jus. Pork collar was surprisingly fatter than we expected, but otherwise good. I loved the artichoke reminiscent of potato but not the pumpkin purée. Dessert of whipped ganache with espresso ice cream was presented with hot moka poured over it. Note: The restaurant has closed.